Happy Friday, everyone! AP and I are headed to San Diego for a hot 48 hours to celebrate my grandparents’ 60th wedding anniversary. A quick trip for such a long distance, but looking forward to seeing my entire family and celebrating 60 years of marriage! We should all be so lucky. 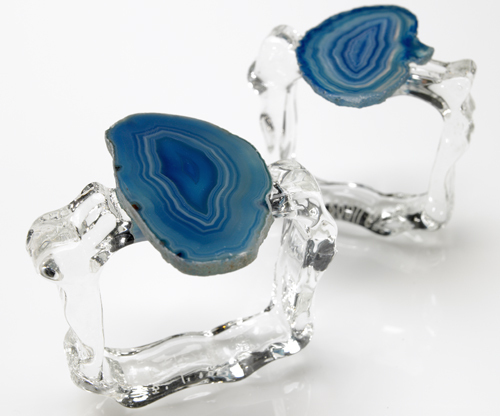 As a child, I had a slight obsession with geodes. 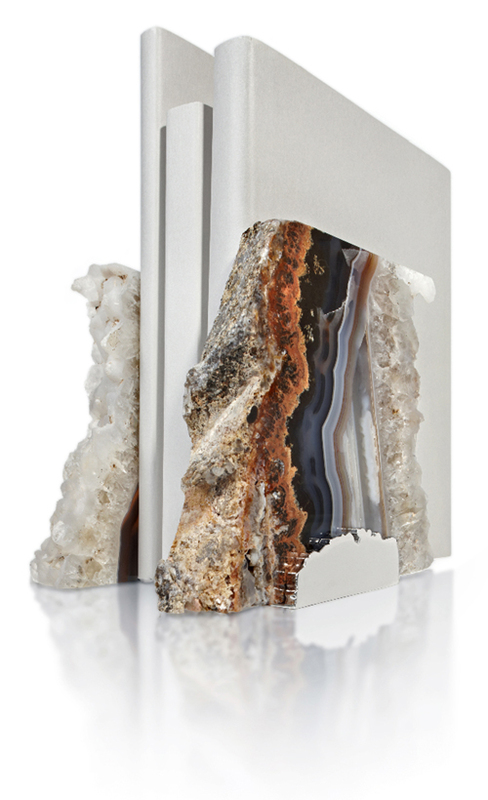 Something about beautiful, sparkly, crystal goodness discreatly living inside an unassuming rock really drove me mad. My mom can verify this….. 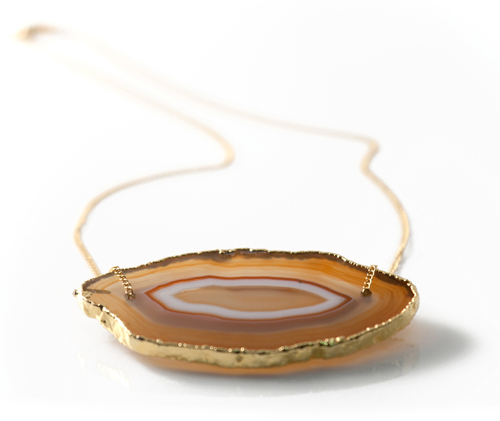 I haven’t quite shook this geode love as an adult and am glad there are adult-fashioned tabletop and jewelry items that make it acceptable to host these beauties in the home! I just spotted RabLabs NYC on Design*Sponge (totally loving her finds this week). and thought I would share more RabLab favorites on this lovely Friday. 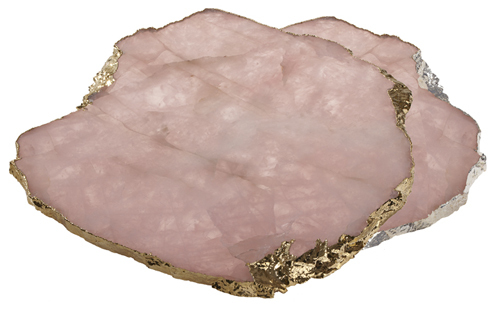 Rose quartz cheese platters… are you dying yet??? Books or no books – I need these gorgeous bookeneds!